In an interesting legal development, Terrebonne Parish President Gordon Dove filed suit Monday against that parish’s District Attorney Joe Waitz and the Louisiana Department of Natural Resources in an effort to stop cold a move to add Terrebonne to the list of coastal parishes filing suits against oil companies. DNR Secretary Thomas Harris approached Waitz with a letter in late January essentially inviting him to join in on the campaign for each of the state’s coastal parishes to file the oil and gas suits – similar to the one Orleans Parish filed earlier this month seeking damages for coastal erosion supposedly caused by oil companies cutting canals through the marshes of South Louisiana to facilitate oil exploration decades ago. These suits rest on extremely soggy legal grounds, as the vast majority of the state’s coastal erosion was caused by the U.S. Army Corps of Engineers having leveed the Mississippi River all the way to its mouth and therefore depriving the marshes of southeastern Louisiana of their annual deposits of river sediment from spring floods. 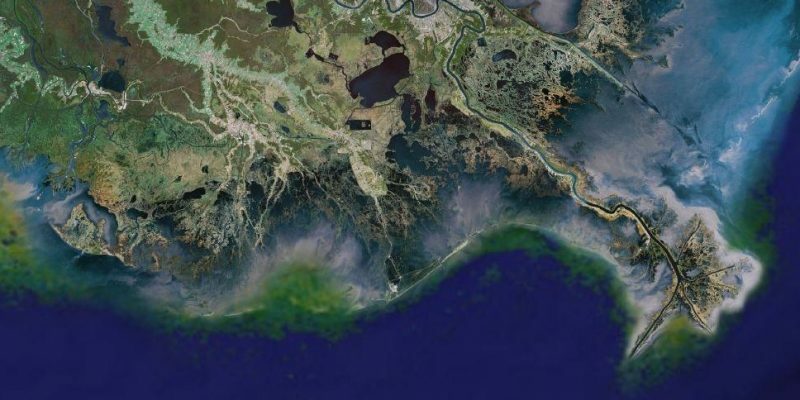 Without that annual replenishment of the marsh there is no counterbalance against the constant pressure of the Gulf of Mexico against those coastal wetlands. Canals dug through the marshlands matter little in the grand scheme of things; the spring floods would have likely filled in those canals were the river allowed to run its natural course. And legally, the oil companies have the obvious defense that local and state governments issued them permits for every single action they performed, as well as the fact those companies paid royalties and severance taxes on oil produced through exploration and drilling onshore and offshore in Louisiana’s coastal region. The suits are little more than a money grab by the governor and his cabal of trial attorneys seeking plunder and riches from what was Louisiana’s most lucrative industry. And in federal court none of these suits have gone anywhere. Edwards’ cabal is trying to reverse that by attempting to file them in state court, where they stand a better chance of finding friendly judges who will allow the suits to continue. So far it isn’t known whether that will avail them much. Which brings us to Terrebonne Parish. Dove, the parish president and a former state representative, is a fairly conservative Republican with a reputation for friendly relations with oil and gas – by far the most important industry to that parish’s economy. Terrebonne has been hit very hard by the decline in oil and gas jobs over the past 6-7 years, and most of the parish’s population is terrified of losing what little of oil and gas remains there. Accordingly Edwards, who received 42 percent of the vote in Terrebonne during the 2015 gubernatorial runoff, is considerably less popular today than he was when he was elected for having declared war on oil and gas through those coastal lawsuits. And the governor’s legal cabal has built a machine for generating them which is at work in Terrebonne. First, he has Harris approach local officials friendly to the idea of a big payday against oil and gas down the road, with an invitation to begin preparing damage assessments in advance of the filing of a suit and suggestions of private attorneys who can be hired to do the work. Then those attorneys largely take over and put the parish in question on the road to filing a suit like Orleans Parish did earlier this month against various oil company targets of opportunity. Dove, despite a good deal of pressure put on him by the governor, told Edwards, Harris and the cabal to go hang. So Harris then approached Waitz and told him he had legal authority to start the coastal lawsuit process, and Waitz bit. The problem, according to the petition Dove filed in court Monday, is because of how Terrebonne Parish’s home-rule charter is written Waitz doesn’t have the authority to engage in civil litigation such as what’s in prospect. That authority would come from Julius Hebert, the Parish Attorney in Terrebonne, and Hebert would need the approval of Dove and the Parish Council. Which is not forthcoming. And according to the petition, the legal services contract that Harris had Waitz sign along with attorneys Stan Duval and Charles Bourque to prepare a coastal lawsuit was similarly illegal. Read the petition, which is 34 pages, and the letter Harris sent to Waitz, and also the legal services contract, here. It’s a 42-page PDF file which illuminates just how shady this whole thing is and how insidious Edwards’ attempts to gin up these coastal lawsuits by local governments regardless of whether they’re what the citizens and elected officials in those localities actually want. Let’s remember that in Plaquemines Parish, where Parish President Amos Cormier signed on to one of these coastal lawsuits, the voters ran him out of office. And in Lafayette, Vermilion and Acadia Parishes, where the district attorney filed a coastal lawsuit back in 2016, to say it wasn’t well-received would be an understatement – the Vermilion Parish Council authored a resolution denouncing the DA Keith Stutes for having brought the suit and next year, when Stutes comes up for re-election, the word on the street has it that he’s cooked and won’t even run. But while voter pushback in many of the parishes involved in these suits has been in evidence, pushback by elected officials has not. Dove’s stand against Edwards’ encroachment into his territory is the first of what could be several counterattacks against Edwards in an election year.